It’s beginning to look a lot like Christmas, don’t you think? Shimmering lights and festive decoration turn houses and shops all around into a cheerful display of the holiday spirit! To help you create that magical feeling in your home, we’ve selected a few unique Christmas decorating ideas featuring seasonal flowers that are sure to impress all of your holiday guests. 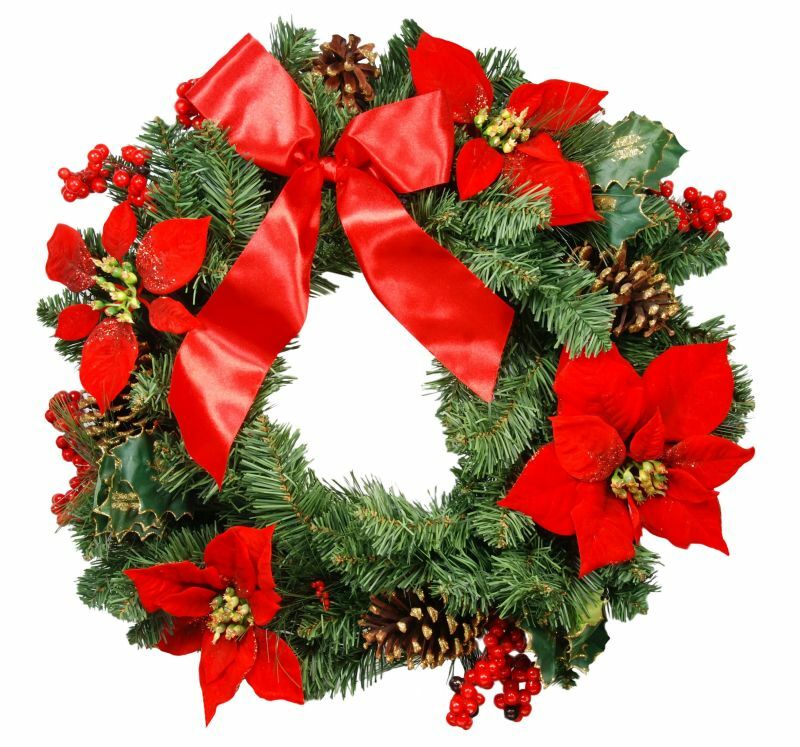 Christmas wreaths are a wonderful way to make your home more welcoming. They look great hung on the front door, on a window or even above the fireplace. Winter wreaths are usually made of vibrant evergreen branches and different seasonal accents such as pinecones, clusters of holly and mistletoe, berries, fruits, etc. Adding fresh seasonal flowers to the holiday wreath is a great way to make it look trendy and attractive. Use blooms in red, white or green as they will complement the evergreens perfectly. Nothing beats the beauty of fresh flowers placed in the centre of the dining table. Their natural charm and captivating fragrance are guaranteed to create a lovely atmosphere around the table and set the mood for a chatty family gathering, tasty holiday meal and lots of smiles. Place some seasonal flowers in a small vase and fill in with fresh evergreens. 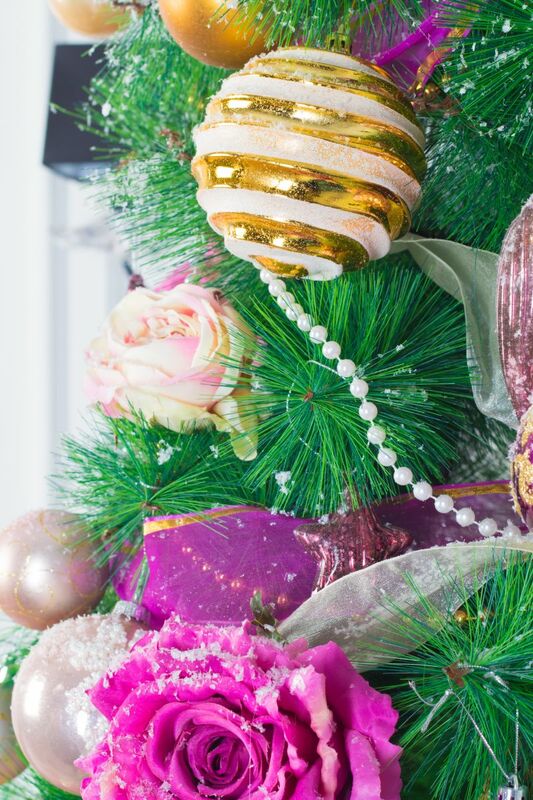 Surround the vase with shimmery Christmas ornaments to enhance the holiday spirit! It might sound surprising but flowers could actually be used as a Christmas tree decoration. It is a popular trend among the DIY enthusiasts and we at Handy Flowers think it is a really cool idea to shake up your Christmas tree and turn it into an eye-catching display of fresh (or artificial) flowers. Thinking outside the box is the best way to decorate your home in the most original way, don’t you agree? This traditional Christmas plant combines the most popular seasonal colours – cranberry red and festive green. Poinsettia is a wonderful addition to the holiday décor as it is very long-lasting and could adorn your home from the Christmas Eve family reunion to the New Year’s fancy celebration. For an extra festive touch, incorporate these holiday favourites into your Christmas decoration. Mistletoe and holly could be added to any floral wreath, table centerpiece, garlands and other ornaments. Do you remember the tradition that when two people find themselves standing under a mistletoe they are supposed to kiss each other? What a better icebreaker for your Christmas party? Create a truly unique setting for the holiday fun with the help of beautiful flowers and you are guaranteed to accentuate the Christmas joy, beauty and warmth in your home!